The worlds largest Food fair and Convention in the world. More than 146 countries, gather in Milano Italy to discuss the future of our food and sustainability. The premises were: How to SAVE energy in food production and How to FEED the planet responsibly. I have always been concerned about food sustainability and the environment. Learning how to make connections in our local environment that can help on a micro scale, and add summon efforts that will help globally. It is of great importance to learn how the rest of the world is addressing them as a way to learn from other cultures and communities in the world. As a chef, not only choosing to cook with organic produce and ingredients is primordial, but to know where ingredients come from, how we source them and how are they grown is vital information. I will always choose to cook with the less traveled vegetables if possible, and to the point, I have learned to grow my own chiles and tomatoes to acquire my Mexican flavors in my recipes. It is not easy, but doable. I believe every little effort in the kitchen that saves, preserves and creates awareness in our cooking it sums on collectively into the world, we must try to do our best. It is always worth it. 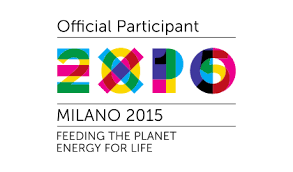 With great honor and pride, we contributed to the EXPO MILANO 2015 with our own recipe creations. 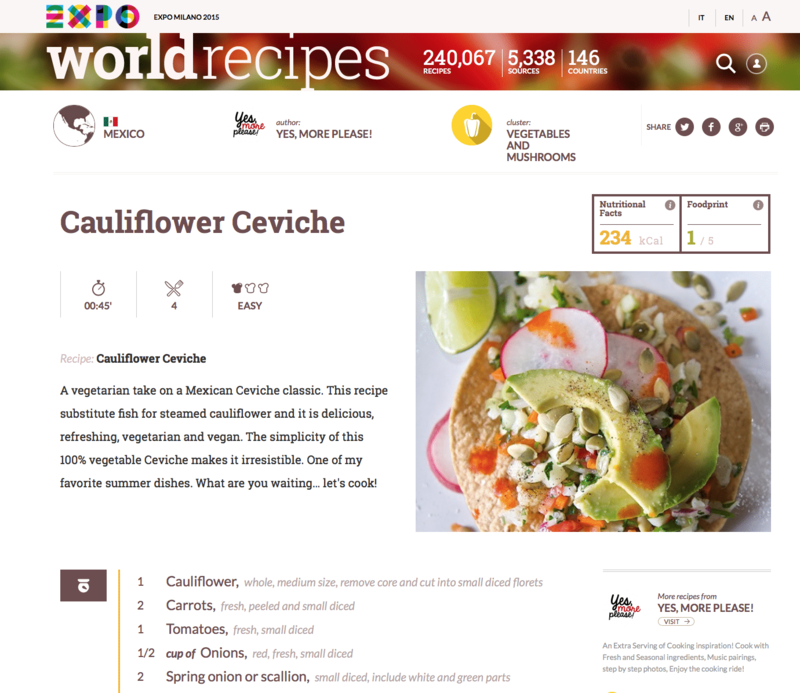 From Mexican Shrimp cocktail to our signature recipe Cauliflower Ceviche and many more. Here is a link to our Recipe Contributor Page, and some of the pdf photos of their site. Thank you EXPO MILANO for making this world better one connection at a time!